Chicago teen had been repeatedly warned about sneaking onto the basketball court at a Skokie fitness facility, but one police officer came up with an alternative to arresting him for criminal trespassing. 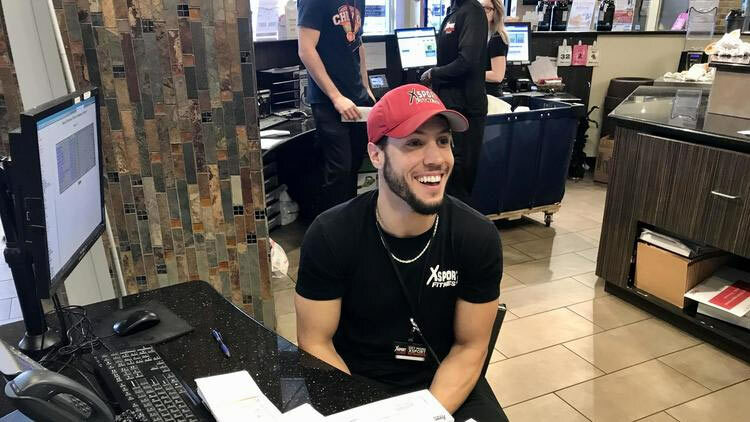 In late August, XSport Fitness workers made good on a promise that police would be called in if they found the boy on the basketball court again. “We had no choice but to contact police,” said X-Sport Operations Manager Justin Pritchett. He said only a day after being warned, the boy – who lives just over the Skokie border in Chicago – tried to sneak in yet again. Pritchett said the teenager — about age 15 — would repeatedly walk past the front desk and onto the court. At one point, he said, the boy hid in a bathroom stall to try to elude fitness center employees so he could play hoops with friends. Skokie police Officer Mario Valenti responded to the call for police that August day. What happened next surprised everyone at XSport, Pritchett said. Valenti offered to pay $150 out of his own pocket, asking fitness center workers how much membership time that would buy for the boy. The answer was three to four months, and Pritchett called the corporate office to report the situation, he said. According to Pritchett, corporate was so taken with what the officer was doing that it made its own offer: The $150 would go toward a two-year membership with a total value of $718 and X-Sport Fitness would pick up the rest of the cost. Valenti and Pritchett said they later learned that the boy, who attends a Chicago school, was an NBA hopeful, a skilled player who had received national attention for his on-court accomplishments.